The following figure will be obtained when this figure is opened at the second fold. 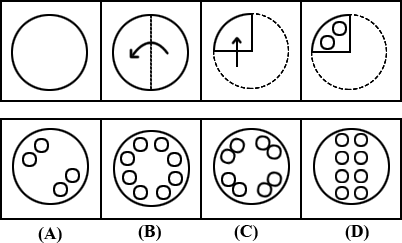 This figure resembles with (C) among the four alternatives. 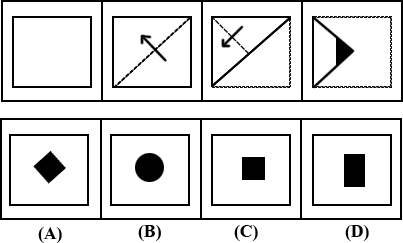 The following figure will be obtained when the above figure is opened at the second fold. 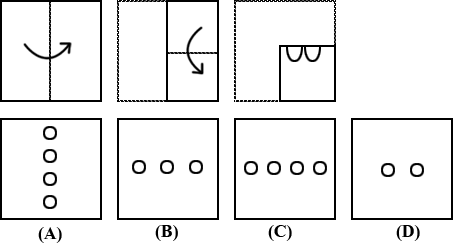 This figure resembles with (B) among the four alternatives. 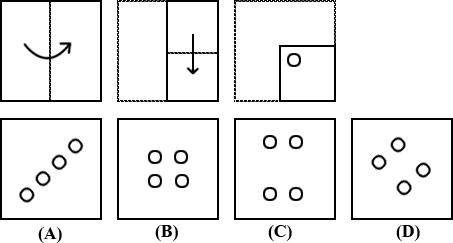 This figure resembles with (A) among the four alternatives. 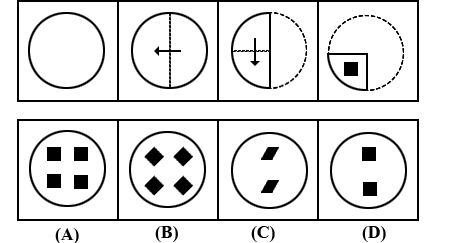 Answer with Explanations (C): When the last figure is opened at one fold then at second fold, the figure will resemble with figure (C) among the alternative.